Whew. It's been a crazy year! I want to thank each and every one of you for your sticking around. If things have been a little quiet around here the last few weeks, I apologize. 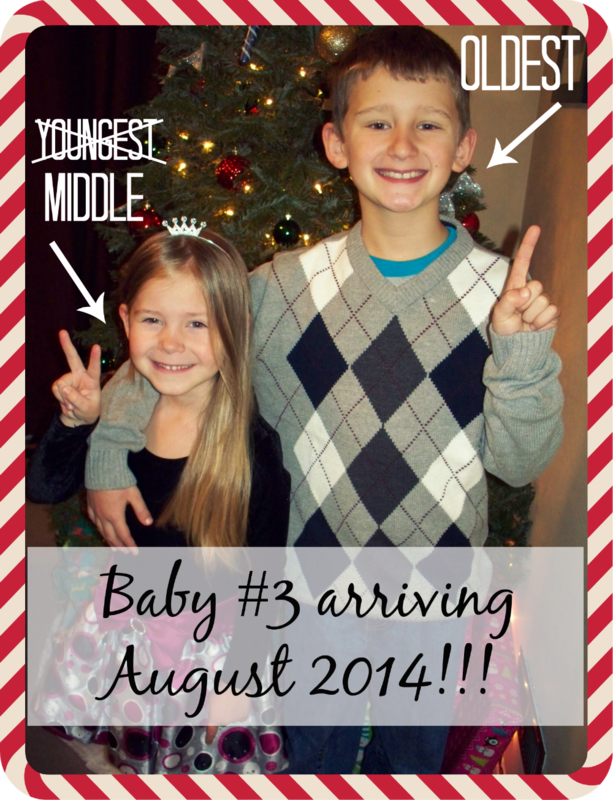 Did you catch my big news? Yep, I'm pregnant with baby #3, and I'm right in the middle of some pretty horrendous morning sickness. I haven't even been able to get out of bed for the most part today, except to make lunch for the kids, and that almost left me passed out on the kitchen floor (it happens a lot when I'm pregnant- no fun). I'm hoping in a few more weeks I'll be feeling better and getting some of my energy back, and I've got some great stuff in store for you guys! I can't wait to start creating some fun projects for this new little one. I hope everyone has a happy and safe New Years. We will be kicking it old-people style by staying home and going to bed early I'm sure. If you're out partying or drinking, please make sure you have a designated driver or call a cab. Don't drink and drive! Wishing you all the best in 2014. And just in time for the holidays! Yep. My little family of four is going to be growing into a family of 5, and Mommy and Daddy will be officially outnumbered. To say that I was shocked is a bit of an understatement. I really didn't think it was going to happen at this point. This might be a little TMI, but whatever...I haven't been on any kind of birth control since before I had Ayden, and ever since we had Lily we were just kind of like "OK, two is great, but let's just see what happens." And nothing happened for the last, oh, almost 6 years. I figured maybe my eggs were drying up or something and maybe I wasn't as fertile as I once was, so I was totally at peace and content with two. Baby fever really hit me this last year or two but still, nothing was happening, so I settled on having just two for the rest of my life. Then I was grocery shopping and realized I was about 2 weeks late- nothing unusual for me and my crazy cycle, but just to ease my mind I figured I'd buy a cheap-o test. I knew it would be a waste of money and I'd get my monthly visitor in a day or so and didn't really think anything of it. I came home, put a few groceries away, saw the test in my grocery bag and decided to go take it. I did my business and peed on the thing, and before I could even pull my pants up there was a big fat plus sign on it. I was so not expecting that! I had to talk to someone, so naturally I hopped on Facebook and start chatting with my 2 blog BFFs Amber & Sarah. (Do you love how the first people I told were 2 gals I've never actually met in real life?!) I talk to these gals on a very regular, daily basis and we pretty much have a 3-way chat going at all times between us. I told them I was freaking out and was going to go get another test because I thought this one was wrong. Well, I bought a 2 pack, so 3 tests total confirmed that I was, indeed, knocked up. 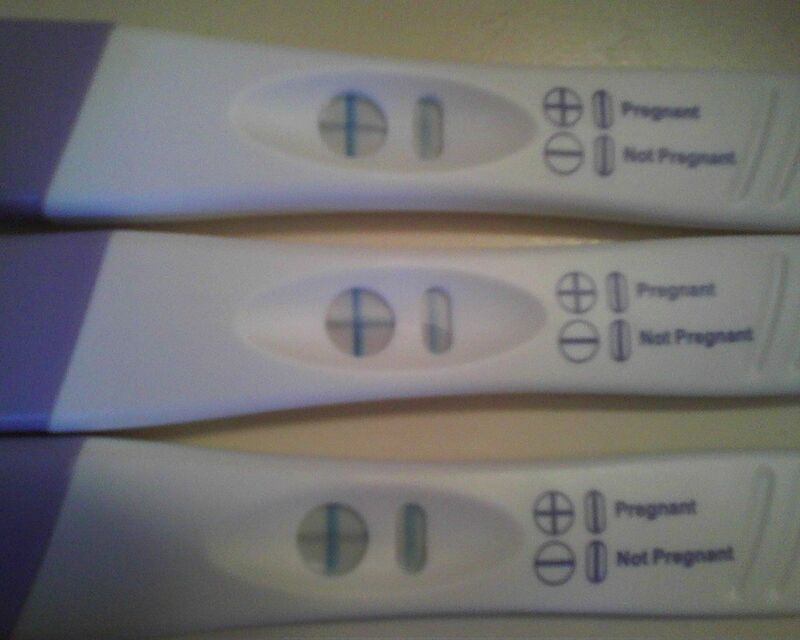 I still was in a bit of denial, so I sent Amber & Sarah this picture of the tests to see what they thought. They both started laughing and told me I was for sure pregnant, and that there was no denying that those were plus signs I was seeing. I'm not blind, but I was caught off guard...just a tad! I mean, it had been a few years of "Well, if it happens, it happens" and I really didn't think it would happen! At that point I realized I needed to tell my husband right away, so I called him at work. I guess my tone and the way I braced him for it really freaked him out, because he wasn't expecting my news at all. (He thought I lost my debit card or something and someone had cleared out our bank account!) When I told him I was pregnant he was surprised, but was also relieved to find out that it wasn't anything bad. I guess I need to work on my delivery. He was of course excited and immediately started thinking things like "OK, we need a bigger car. We need a bigger house. We don't have any baby stuff anymore so I guess we need to start finding a crib and everything." You know, the usual Dad-stress type stuff. We told the kids that night over ice cream and their reactions were both completely different. Ayden was immediately excited and happy, and stood up and raised his arms in the air and started cheering. Lily sat there with a scowl on her face and asked us if we were serious and told us to stop tricking her. It took a good hour or two before she finally believed us and we convinced her that it wasn't some type of joke or cruel trick we were playing on her, and then she was all kinds of excited about becoming a big sister. It's still taken a bit for it to really sink in for me. Maybe it's because I'm a little bit older this time around. I was 20 & 24 when I was pregnant with the last two...I was so young! This time around, I'll be turning 30 while I'm pregnant. I'm older, hopefully wiser, and I'm a seasoned pro at this whole mom thing now. Starting over with another baby seems a bit intimidating to me. I'm already incredibly tired, and I know I have many, many sleepless nights to come with a new baby on the way. I know it will all be worth it though, and I'm up for the challenge. It will mean a lot of change for the entire family, and we are all excited for it. So for now, wish me luck getting through this whole morning sickness thing. It's already been a doozy and it's as awful as I remember it being with the previous two! For now I'm spending a lot of time on the couch snuggled up with my box of saltine crackers. Anyone know any good morning sickness remedies? Please share! I'll try anything. As a kid, I always loved Christmas. But as a mom, I love Christmas even more now. Nothing makes me happier than spending time with my family and creating lasting memories with my children. But let's face it- along with those fun, holiday memories comes a little bit of craziness, especially for mom. Between the kids' cookie and candy induced sugar highs, and the shopping crowds, there's no lack of amusing, blood pressure-spiking memories being made. The kids get to enjoy all the fun stuff while us moms scurry around trying to make the holidays perfect without ripping our hair out. And we have to capture every second of it, even when they don't turn out as perfect as we'd like. 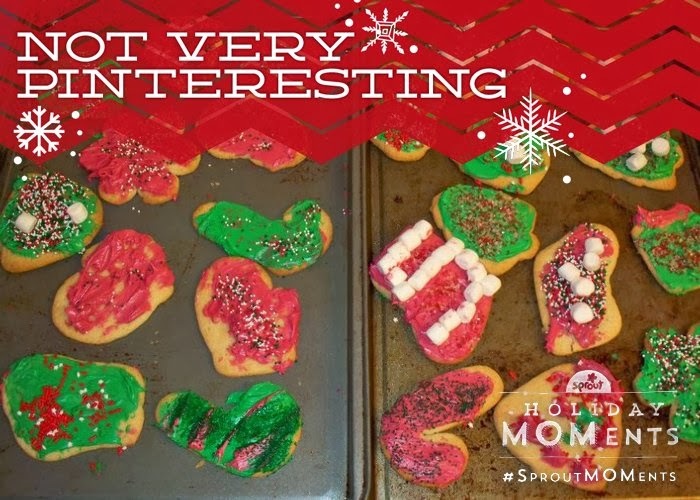 Sprout calls these "Holiday MOMents" and they just launched an entire website dedicated to this where you can celebrate all of your MOMents- the funny, the outrageous, the sweet, and priceless. Look at these Christmas cookies. Not exactly the type you'd see on a magazine cover, am I right? Martha Stewart is probably shaking her head right now. This is what happens when you let the kids decorate their own Christmas cookies without any help. It wasn't the picture perfect moment I thought it would be. First off, the bottoms were burnt. 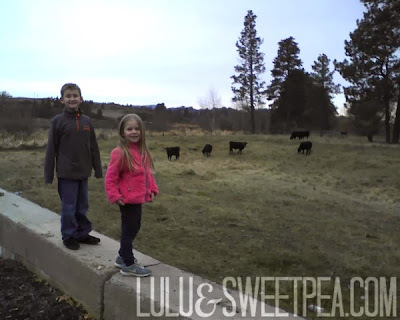 There were sprinkles everywhere, and the kids' teeth were stained green from eating the frosting. And I'm pretty sure there was more saliva on the cookies than there was frosting. I let the kids do all of the eating of the cookies afterwards too, because the licking of little grubby fingers all over them kind of put me off a bit. But did they have fun? Absolutely. Were the cookies these beautiful works of art? Not exactly. This was truly a Holiday MOMent. Then there's the trip to see Santa. 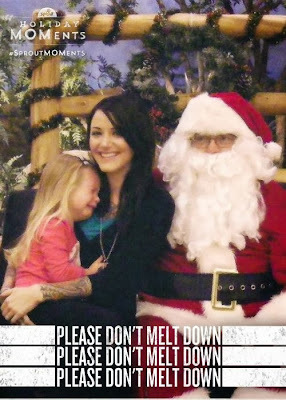 Oh Santa, why do you have to be so scary? My poor Lily had thought she was ready to see him last year, but she had a change of heart at the last minute. But alas, it was a week before Christmas and I needed these pictures for our holiday card, so she was going to see Santa, even if I had to get in the darn picture too. Are you ready to create your own holiday MOMent? Head over to Sprout, have a look around, and create your own to share. They have tons of fun, pre-made frames and templates for you to use, and you can share them on Facebook, Twitter, and Pinterest. Browse other submissions too and see what every one's unique MOMents look like. Maybe yours isn't as bad as you think it is. Sprout wants to celebrate each and every one! What's your favorite Holiday MOMent? Make sure to head over to Sprout and share your own! I was selected for this opportunity as a member of Clever Girls Collective and the content and opinions expressed here are all my own. 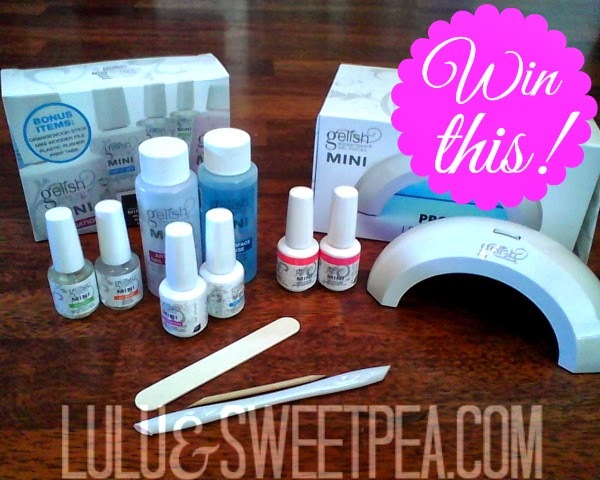 Giveaway time- win a Gelish gel nail starter kit! You know how much I love me some Gelish, right? I mean, I've only blogged about a million times on how much I love doing my own gel nails at home, and how Gelish is pretty much my favorite brand ever for gels. In fact, I love it so much that I want to give a complete Gelish MINI set up to one of my fabulous readers, just as a thank you for your support of my gel nail tutorials. My DIY Gel Nails post was a huge hit and has been viewed over 157K times! So you guys must be loving the gels too. Gelish MINI Basix kit- Ph Bond, Foundation, Top It Off, Nourish cuticle oil, Nail Surface Cleanser, Artificial Nail Remover, cuticle pusher, file, and orangewood stick. 2 Gelish MINI colors- Make You Blink Pink (my fav!) & I'm Brighter Than You. Gelish MINI pro LED curing lamp. This kit is estimated at $154.80 value! This is the exact same set up that I use and love, so I know you'll love it too! Now without further ado, the giveaway! You can enter this giveaway on the Rafflecopter widget below. Please refer to the terms and conditions. Winner's entry will be verified- so please don't cheat. Please note that all entries are not mandatory- only the 1st one is (so I know how to contact you) but the rest are optional. You don't have to do them all to be eligible to win. And don't forget to check out my gel nail tutorials! Make a LEGO Minifigure holiday card! This post brought to you by LEGO. All opinions are 100% mine. I have a really fun holiday card idea for you guys from the people at LEGO. If your kids are like mine, they probably love LEGO stuff, so the idea of fashioning LEGO Minifigures after the whole family sounded too fun to pass up. The kids and I had so much fun personalizing our LEGO characters! You can choose the skin tone, facial expressions, hair, hats and accessories, and the clothing. There were lots of fun ways to customize your characters for the holidays like Santa hats and jackets, and there were also some other silly ones like crazy hats, glasses, and even ninja outfits. We played around with our options for a while and the kids got a kick out of making themselves look as silly as possible. We finally settled on trying to make them as realistic as possible, and I think they closely resemble what we actually looking like. You can even add your pets and customize them too. When we were all done, we then got to play around and choose which background we wanted and opted for one that looked festive and homey. It looks just like my little family standing in front of our Christmas tree. What a fun twist on the whole holiday card thing. 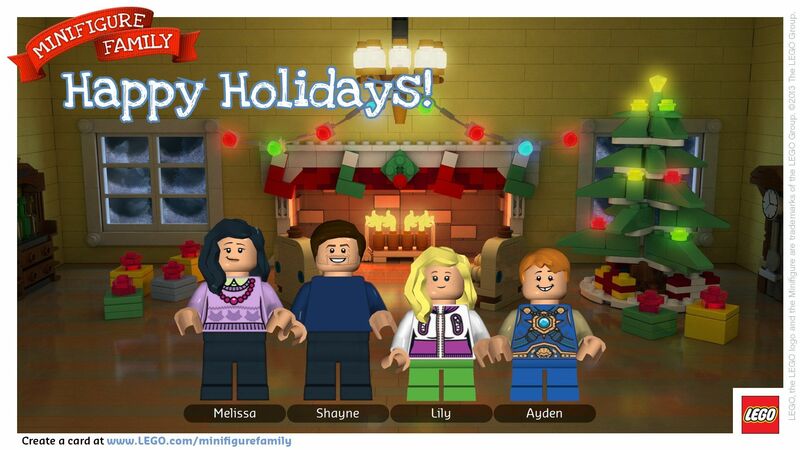 So if your kids love LEGOs and you need a fun holiday card idea, make sure to head over and create your own LEGO Minifigure Family! I'm sharing one of my all time favorite dips that I just love bringing with me to parties, barbecues, and potlucks...or just when I'm home and feel like stuffing my face with something delicious. 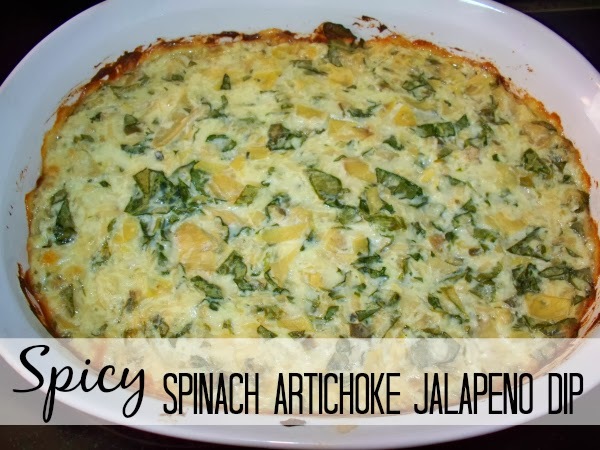 This dip is perfect when served with French bread or crackers, and it bakes up all warm and bubbly in the oven. This is a great time of year to make it to bring with you to your holiday parties. 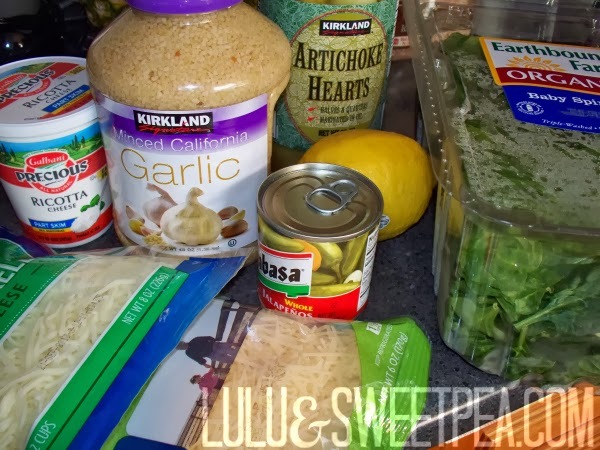 It's super easy and quick to prepare, and most of the time I don't even use measurements. Everything can be done by eyeballing the ingredients and you can change it up and add more or less or add your own twist. 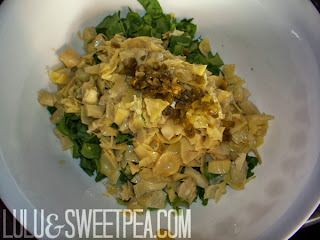 Chop 2 or 3 cups of spinach and about 1- 1 1/2 cups artichoke. Dice 1 jalapeno & add to bowl along with 2 tsp minced garlic. Add about 1 Tbsp lemon juice and set aside. 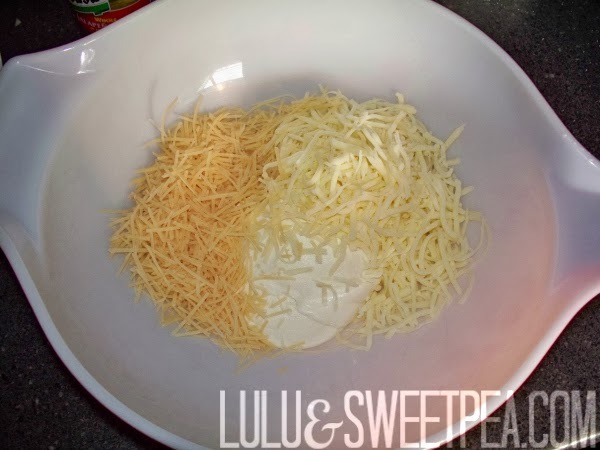 In a large bowl, mix together 1- 1 1/2 cups ricotta, 1 cup mozzarella, and 1/2 cup parmesan cheese. 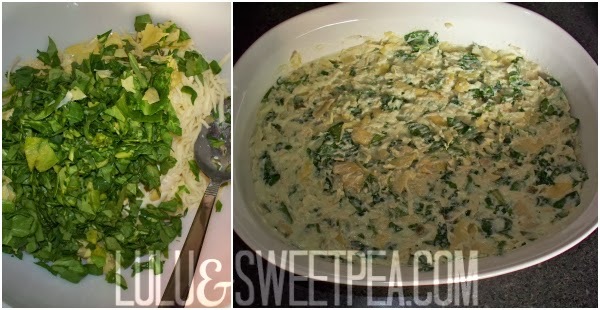 Add spinach & artichoke mixture to cheese mixture and stir until fully incorporated. Salt and pepper to taste, and feel free to add or change anything at this point if it's not quite to your liking. Place in casserole dish, cover with foil, and bake for 20 minutes. Then remove foil and place under broiler for a minute or so to brown the top and get the cheese nice and bubbly. Serve hot with French bread (my favorite) or crackers. Brrrrrr. It's been a bone chilling week here! We had a pretty mellow let's-stay-inside-and-not-freeze-to-death type of week. This is how I feel about a negative 20 degree wind chill advisory. I'm not much of a hat person! 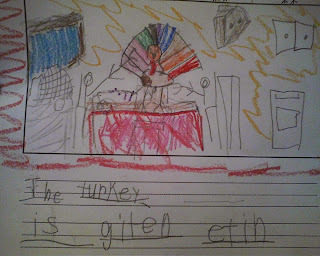 I finally caught up and recovered from the long Thanksgiving break. More on that here. I did a lot of reading. The kids did too! I just finished up this entire series and it was amazing. I totally fell in love with the characters and their storyline (cryogenically frozen people traveling 300 years through space to a new planet). 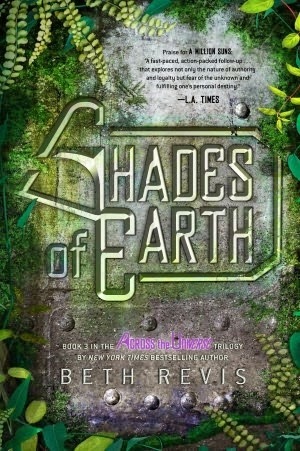 I would recommend this series to anyone who loves YA fiction and science fiction. 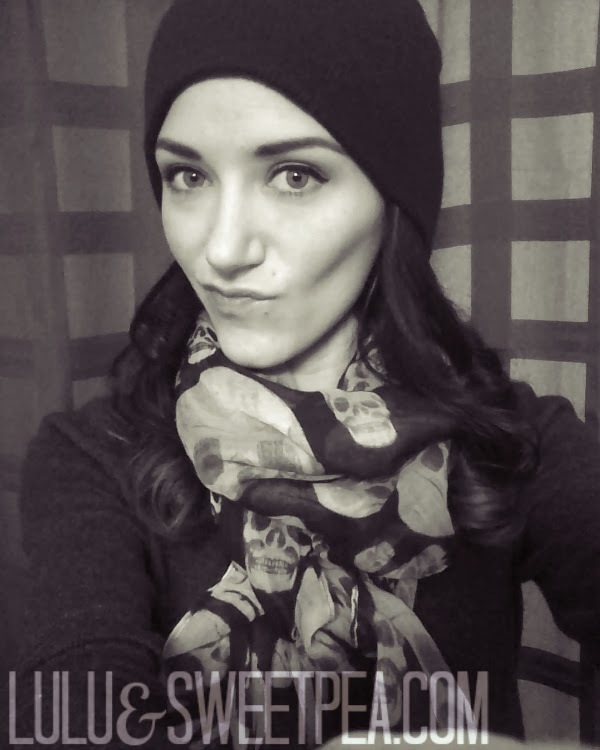 I posted a little about holiday accessories from Shane Co. here. 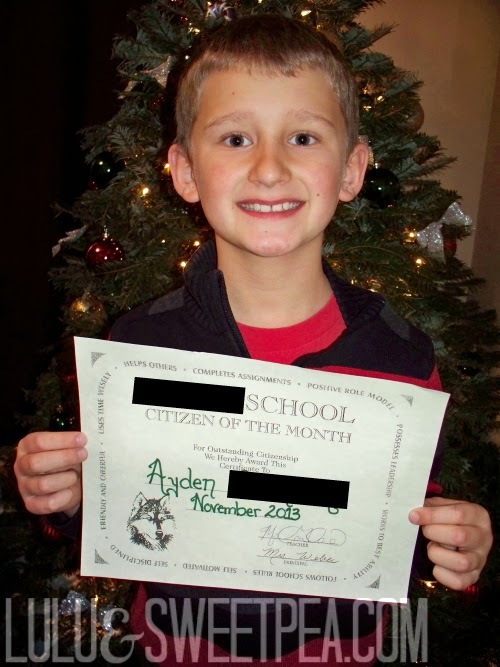 I'm proud to announce that Ayden received an award for Citizen of the Month at his school, and I got to attend a special awards ceremony this week. I have to admit that I did cry (just a little!) watching him accept his certificate. It was just so cute and I was so proud! It was so sweet to see the things his classmates said about him. 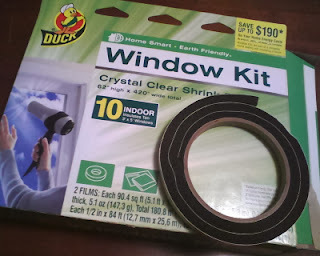 The cold pushed me into full on MacGyver Mom mode & I sealed up the windows and fixed the weather-stripping on the doors, hoping to keep some of the chill out. I'm hoping this makes it seem less drafty and helps keep the heat bill relatively low- under $200 please? We took the kids to see Santa! In years past, Lily has always cried, but she promised me that this was the year that she'd smile and not be afraid. 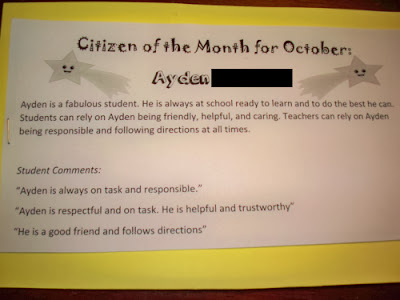 She did great, and it was actually Ayden we were worried about. He hadn't been feeling well and ended up being rushed to the bathroom right before this to throw up in a mall garbage can. 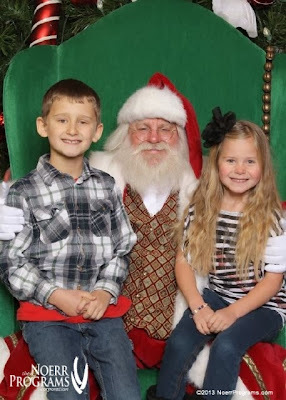 Lily did great though, and we got the cutest picture of them both with Santa! Then we took the kids to a special Christmas shopping store in the mall where children can experience the joy of giving while benefiting a great cause. You set a price limit ($.50-$8) and the kids get to shop with the help of an "elf" for whomever they want. 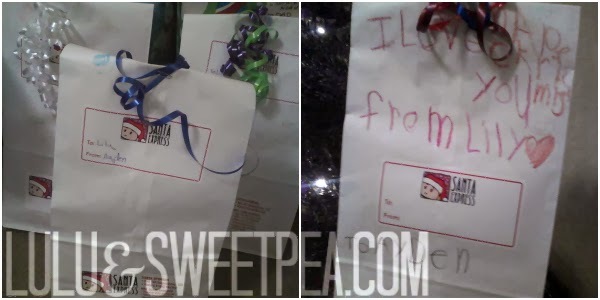 Mine chose to shop for each other and they even got to wrap the gifts themselves too. The cool thing about this is that the items are all donated from businesses and the proceeds go to a local children's hospital for abused kids. They were so proud of themselves for doing the shopping all on their own! And I love that the money spent is going to a great cause, rather than in the pockets of Walmart or something. We will definitely do this again! Hope you had a great weekend! Well, it's here. The holiday season truly is upon us, even if you haven't started your Christmas shopping yet (oops). It's the time of year where you've got a lot of family get-togethers, holiday parties, and school functions to attend, and you want to look your best, right? I've got the perfect accessory for all of your holiday attire: some fabulous jewelry from Shane Co. If you don't already know, Shane Co. is an awesome jewelry store with some really fun, beautiful, and unique pieces. They cover everything from engagement and wedding rings, anniversary gifts, charms, pearls...you can even design your own jewelry! They even provide you with free lifetime warranties, 60-day money-back guarantees, and free certified appraisals. I'm going to share with you a few of my favorite Shane Co. pieces so you can really see what they have to offer. All of these would look amazing paired with a cute holiday dress and some heels (or flats, if you're like me and can't stand in heels for more than 2 minutes). 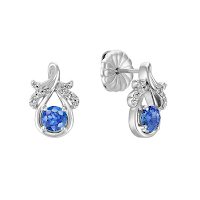 How gorgeous are these blue sapphires? Shane Co. sells only naturally mined sapphires and are fashion forward and available for any budget. 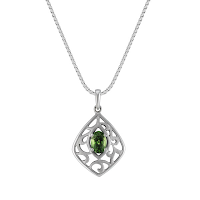 This oval green sapphire and Sterling Silver pendant is to die for. Eternal and timeless, pearls never go out of style! Shane Co. cultured pearls are matched by hand for exceptional luster. 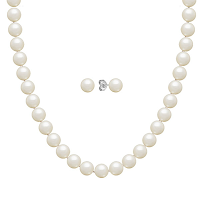 Now that I'm a bit more *ahem* grown up, I really, really want a nice set of pearls to wear for special occasions. I think pearls are just beautiful and elegant looking and they would really make that holiday dress pop. Someone please tell my husband about this- exclusively at Shane Co. cultured freshwater pearl sets! Get two matching gifts of stunning pearl jewelry for only $100 at Shaneco.com. So what do you think? Gorgeous, huh? Are you ready to hop over to Shane Co. and check them out? There's still plenty of time before Christmas to get your own beautiful jewelry, and they even offer free shipping on orders over $100! Perfect for those pearls I want. Which piece of jewelry is your favorite from Shane Co.? I can't believe it's December. Seriously, where did November go? Did you have a good Thanksgiving? We had a great weekend at my mother-in-law's house in a teeny tiny town in Idaho- population 812. The kids' Auntie came over from Montana and we all spent the weekend eating, drinking, cooking, playing card games and Wii, watching movies, riding 4-wheelers, and laughing a lot. It was probably one of the best Thanksgivings we've had in a long time! I was in charge of the pies this year, and I was a total cheater and used Pillsbury pie crusts and canned pumpkin. 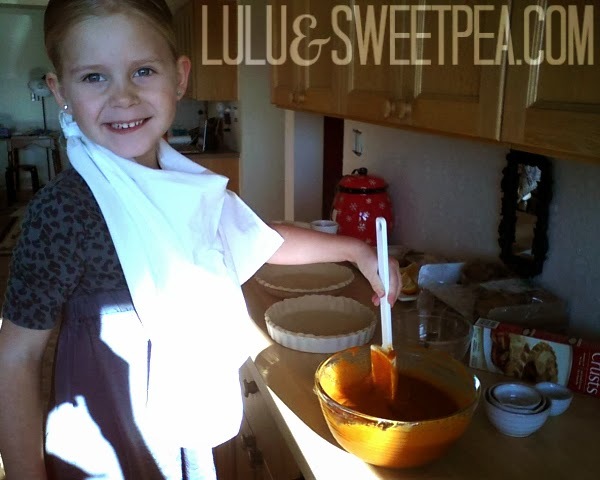 Lily helped though- she's such an awesome helper in the kitchen and loves to cook. My favorite thing about Thanksgiving is grazing and snacking all day. 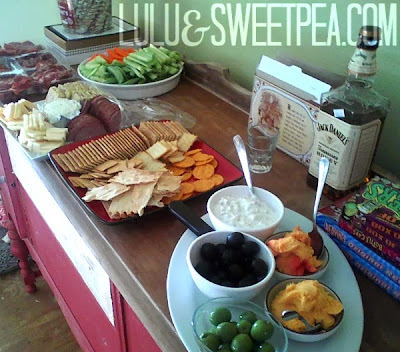 I love holiday snack trays! My sister asked me what I wanted for snacks and I told her meat and cheese- she did not disappoint. The tray on the far left was full of all kinds of smoked meats and salami. Pretty sure I ate 3/4 of it myself over the weekend- no lie! Alright, I mentioned we did some drinking. Now, I am not a big fan of alcohol, and I'm what you'd call a lightweight and/or a weenie. I don't like beer and I don't like the taste of alcohol, and I'll get a buzz off a few sips of champagne (one of the only things I will drink). My sis made me a drink with that Jack Daniel's Tennessee Honey whiskey (pictured above) and it was gooooood. The idea of drinking whiskey made me want to gag, but this was mixed with ginger ale and lime I believe, and it just tasted like sweet deliciousness. Along with the yummy mixed drink I also enjoyed this other stuff that I thought was wine. 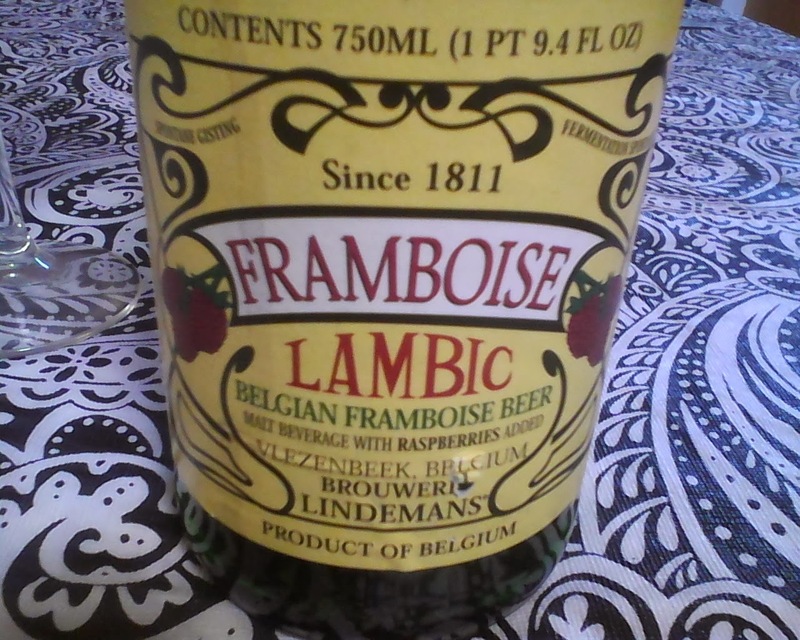 Turns out, it's actually a type of Belgian Beer flavored with raspberry. 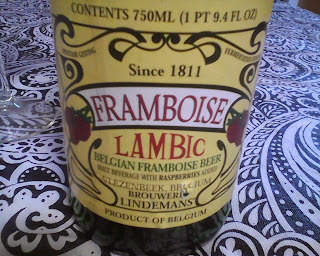 I had this stuff years ago when my BFF bought me some for my birthday, knowing I'm a weenie and can't drink alcohol. I ended up drinking 2 bottles of this stuff that night and forgot all about it after that. When my mother-in-law pulled it out of the cupboard for me I was so excited! I pretty much drank this baby all on my own and only let the husband have a little glass (which I ended up stealing and drinking anyway). Pretty sure the alcohol content is very low, but it was just yummy to sip on while we played card games. 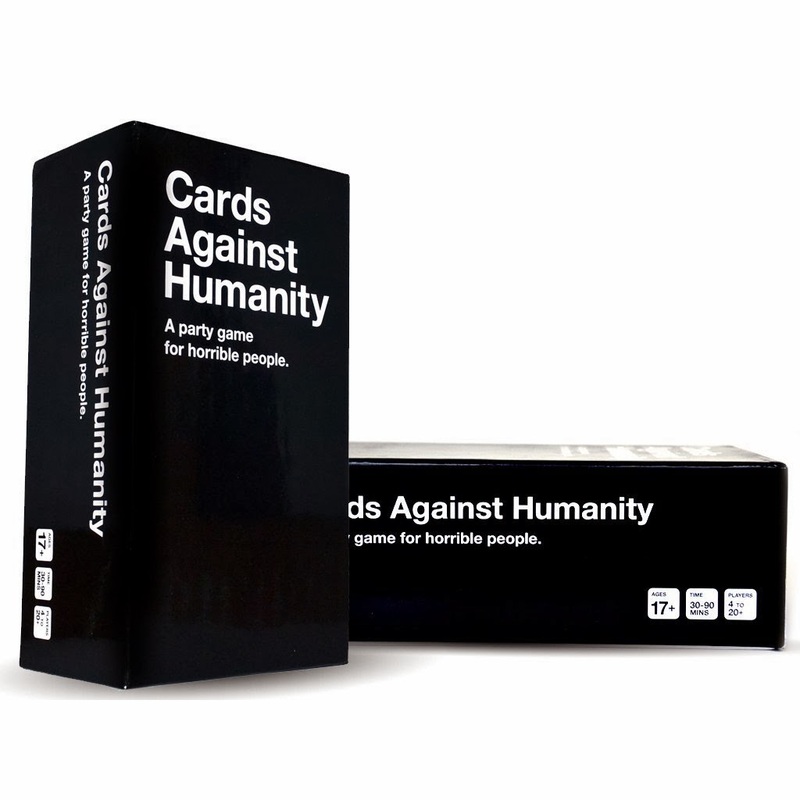 Speaking of card games, have you played Cards Against Humanity? Oh. My. Gawd. It's fun. 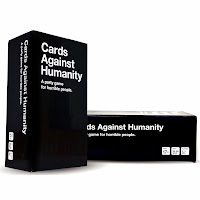 It's a bit like Apples to Apples (which I love), but it's pretty dang vulgar and crass. Definitely not for kids, and we had to make sure they were in another room playing Wii so as to not overhear the dirtiness and loud cackling that ensued after each round. As weird as it sounds, my husband's family are the perfect people to play this game with, though we had a few embarrassing moments trying to explain a few things to his mom. "Oh, that's what that's called." Oh dear...haha. If you don't mind bad words, dirty jokes, and have a crude sense of humor you should definitely check out this game. We played until we ran out of cards! My poor Lulu got sick the first night we were there and I thought it might just be from the car ride, as she has tendency to get motion sickness. She was fine all day Thursday and ate Thanksgiving dinner normally, and even ate some pie. On Friday we decided to skip the sales and went to see Disney's Frozen in 3D (it was really cute and the kids loved it, by the way). Later that night, Lily threw up a massive amount of popcorn, candy, and soda, and I figured maybe she was a tad car sick again from the long drive back to Grandma's from the movie. On Saturday we headed home and gave her some medicine to prevent her from getting car sick again. She did great in the car and was fine all day after we got home, but then late Saturday night she ended up throwing up again. Sunday she was normal, and then I found her Monday morning dry-heaving into the toilet when I went to get her up for school. She ended up staying home that day but never did throw up, and on Tuesday she finally felt OK to go back to school. I'm hoping whatever was going on with her is over and done with. I still don't know if it was the car ride, the excess of food and junk, or some type of tummy bug or flu. It was just weird that she was seemingly fine in between her bouts of puking, and she didn't have any other symptoms along with it. Somehow in all that craziness, I managed to read an entire book over the holiday weekend. I realized on the drive down there that I didn't get car sick while reading on my tablet in the car. I used to get sick trying to read books or magazines in the car when I was younger, but maybe having it in tablet form helps or something. Either way, I was happy because I'd been dying to read this one. 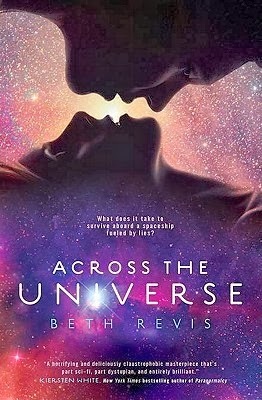 This book is 2nd in the Across the Universe series and it was really, really good. I gave it 5 stars! We had an awesome weekend and I was so sad to come home and get back to real life. Oh yeah, I found this little gem in Lily's backpack when we returned. 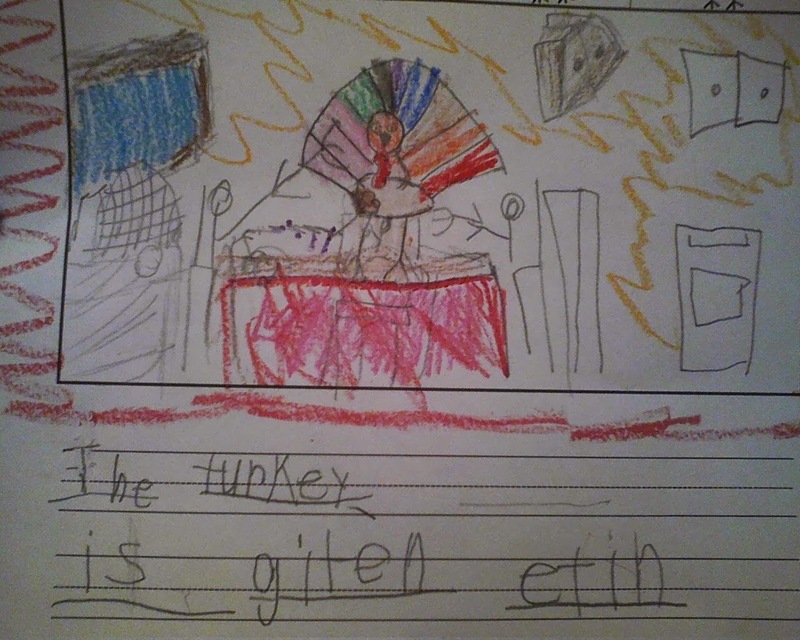 "The turkey is getin etin." She sounds like a little redneck! How was your holiday weekend? Did you start your Christmas shopping yet? I haven't gotten a single thing. I better get a move on! 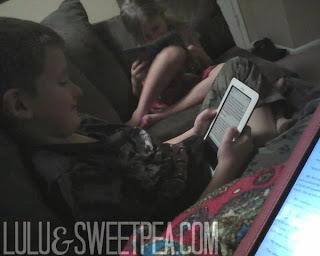 © Melissa Swenson and Lulu & Sweet Pea, 2011- present. Unauthorized use and/or duplication of this material without express and written permission from this blog’s author and/or owner is strictly prohibited. Excerpts and links may be used, provided that full and clear credit is given to Melissa Swenson and Lulu & Sweet Pea with appropriate and specific direction to the original content.